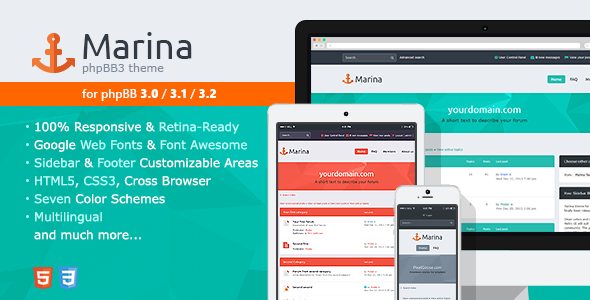 Marina is a clean, simple, fully responsive & retina-ready theme for phpBB 3.0.12,3.1.10 and 3.2.5. It’s created using the ideas and principles of the modern and so popular flat design. Marina is a great choice for building a community of any type. 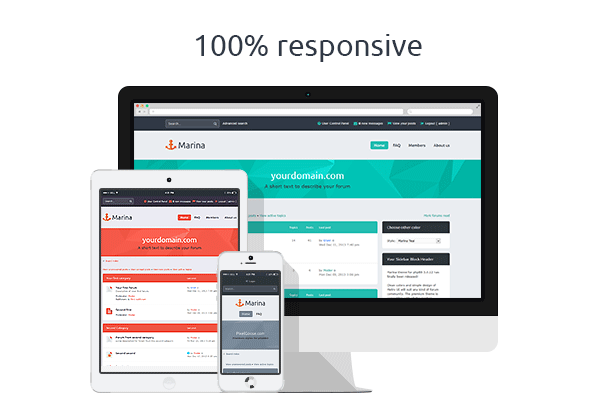 Marina theme is 100% responsive. Your forum will be available from any mobile device and your community members will get a great user experience with the theme. 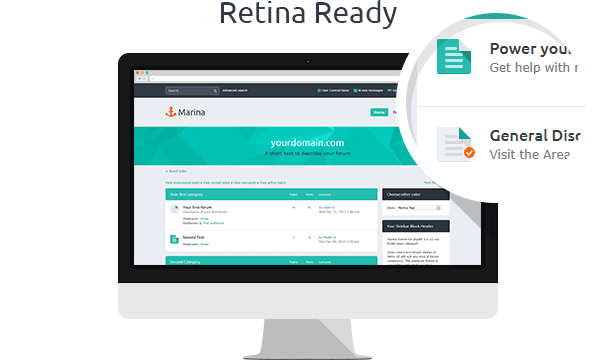 The theme is fully retina-ready. All the icons are scalable so your forum theme will always look 100% sharp on any high-resolution screen. 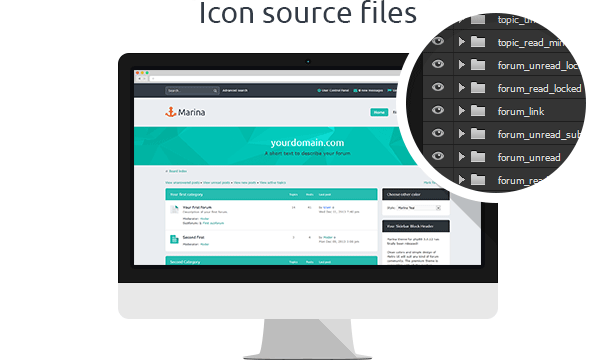 Marina theme uses Font Awesome icons font and custom SVG (vector) status icons. 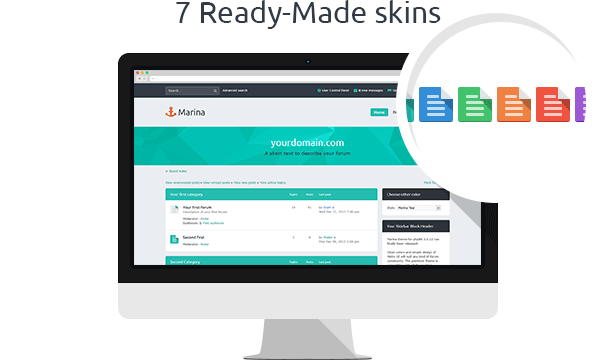 We’ve created 7 themes in different color schemes – Teal, Blue, Green, Orange, Red, Violet and Slate. So you can use one of them or create own one. 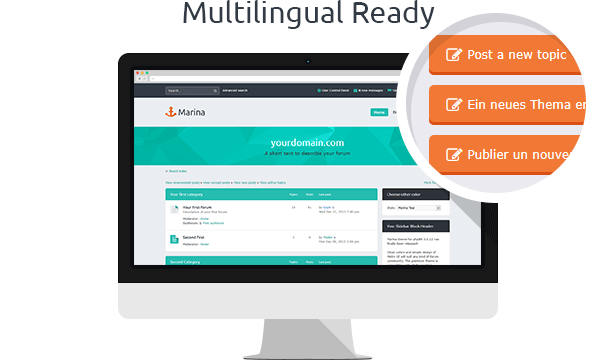 Marina theme does not need any localized buttons, so just install your language pack from the official phpBB site and it’s ready for using! 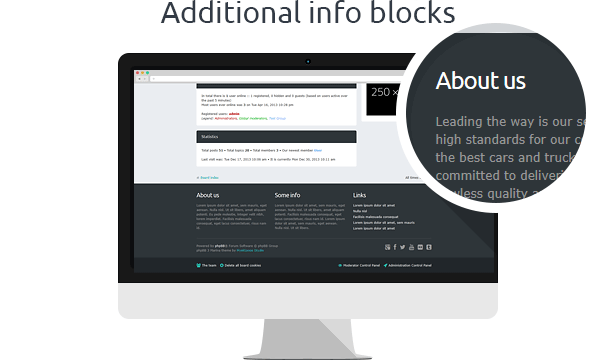 Sidebar and prefooter information blocks are available. You can use them for ads, contact information or anything else! Layered PSD’s and AI’s files included. You can change colors of the icons with the help of Adobe Photoshop, Adobe Illustrator or Inkscape. Full and detailed documentation included. 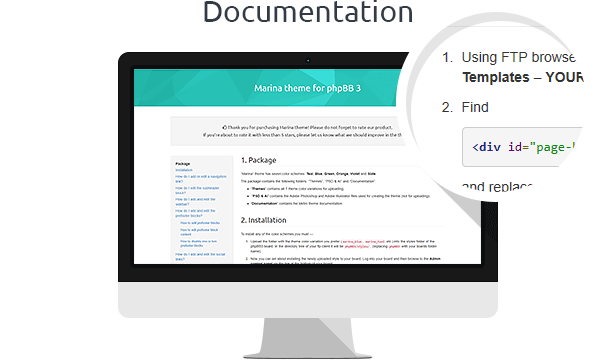 If you have any questions on using the theme – you’ll find the answer inside the documentation! 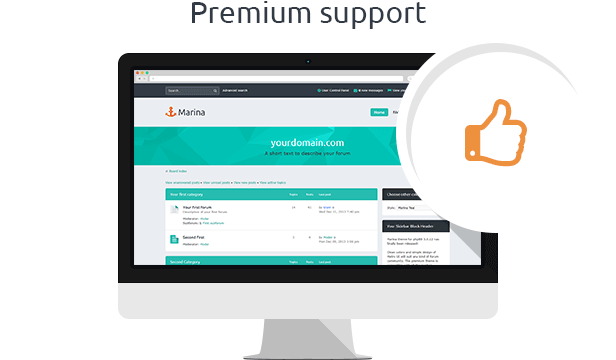 Buying the theme you get premium support!